The unexpected. The unpredictable. The unexplained. These are the sorts of things – like Scully and Mulder – I seek out to investigate and explore as part of my own personal investigative research and writing, and in everything else that I do in my life. I love pushing boundaries and trying things no one has done before. It’s what drives me to figure out a way to do things like ghost hunting with my browser Go Ghost Hunting with Your Internet Browser Go Ghost Hunting with Your Internet Browser Read More , or importing UFO data into Google Spreadsheets How I Import Internet UFO Sightings Data Into A Google Spreadsheet How I Import Internet UFO Sightings Data Into A Google Spreadsheet In this article, I'm going to show you how to import any data that might be stored in a table on any website on the Internet, into your Google Spreadsheet. Think about the enormous volume... Read More . The truth is, we’re not alone. No, I don’t mean aliens. I mean – those of us that are interested in weird stuff. We’re not alone. There are people all around the world that devote a great deal of time and resources to collecting and investigating unusual stories that are based on witness testimony. Not all of these can be investigated – there are just too many. However, thanks to the Internet, these stories can be accumulated into online repositories where anyone at all can read testimonies from people who say that really freaky stuff happened to them. The following 7 websites are just a few of the ones that I turn to when I’m on the hunt for an intriguing weird but true story or legend to investigate. I’m positive that you’ll agree these are some of the best websites to capture your interest and your imagination as well. Okay look, I know that the United States has a reputation around the world for coming up with some pretty hair-brained things. I mean, it is the home of things like the double-quarter-pounder hamburger, and Windows Vista. Need I say more? No, this website isn’t about how or why the U.S. can be strange. It’s about allegedly weird but true stories about really, really weird things that have happened to people across the country. This particular site is more about well-worn legends and local myths that most folks within the paranormal community have probably already read about at some point. But if you’re new to the field, by all means start out on this website. You’ll discover all sorts of really cool stories from many different U.S. states. These include things like the Kelso Dunes in California, the New Smyrna Ruins in Florida, the Witches Tower in Ohio, Hell’s Gate in Texas, and a lot more. You’ll read carefully written articles about phenomena that lots of us investigators love to chase. One example I’ve been especially fascinated with recently is the Mothman, for example. I can’t imagine what it would be like to witness a creature like this in person, but lots of people claim they have, even recently and in locations all around the country. Could it be nothing more than a large bird or bat, and the wild and frantic imaginations of people filled with irrational fear? Maybe, but the stories are still a blast to read. Strange Magazine is a site with an interesting setup. The online magazine offers a subscription to a part of the site, but you can still access a pretty decent volume of updated stories as part of the free section on the website. These are mostly articles cited by founder and editor Douglas Chapman. What I like about his articles is that they are fairly well researched, and unlike so many other similar sites out there that cover these topics, Doug’s articles include sources at the footer – the sign of a high-quality site and a well-researched article. Scroll down to the bottom of his blogroll, and you’ll find a features section with some pretty intriguing weird but true (allegedly) stories. A few of my favorites here – the Crystal Skulls, The Haunted Boy of Cottage City, and of course my all-time favorite is reading the “First Person” section – letters and correspondence from “individuals claiming weird encounters”. This is the stuff of campfire stories. Phenomena. What exactly does that mean? Well, it’s what I described at the start of this article – strange occurrences that science can’t always explain (just yet). This particular website is a bit of a mish-mosh of things like time travel, prophecy, but mostly UFOs and odd sightings in the skies. The stories at this site are presented with more of a “news” tone than a storytelling tone, but the updates are still a bit interesting to read, even though the authors might sometimes be a bit gullible. Through the years, I’ve lost my taste for things that are UFO related, but I absolutely love the stories about weird creatures and beings that are spotted around the world. One legend described on the site is that of witnesses who claim they’ve seen “black eyed children”. The stuff of horror movies, right? If you’re looking for a site with a much larger scope for its weird stories, then you don’t want to miss Cracked.com. The “Weird World” section of Cracked is particularly fun to read – with stories across everything from weird subcultures in Japan, to the world’s most disgusting health foods. It’s just really wacky stuff. Don’t worry though, it isn’t all just mainstream stuff. You’ll find a good dose of paranormal stories here. It didn’t take me very long to find a really cool article listing 6 allegedly real-life curses that are sure to make you wonder. 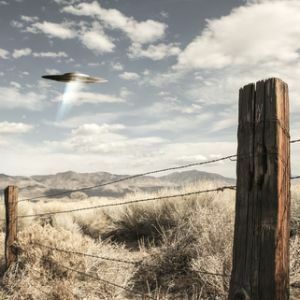 If you are more interested in a site with more fine-tuned specialties and focus, and if you have a particular penchant for unidentified flying objects, then you may want to follow me on over to the National UFO Reporting Center. I know it’s weird, but NUFORC is one site that I go to often for some entertaining lunchtime reading. This is a major online repository of witness accounts from people who all say they’ve witnessed some sort of object in the sky that they can’t recognize. The collection is so voluminous, that I used it as my primary source when importing data into my Google Spreadsheet for UFO data. The reporting database can be sorted by date, location, or even UFO shape. The stories just keep rolling in nearly every day, so you’ll never run out of really interesting stories to read. If you are somewhat versed in aircraft, or what different types of objects like large birds, Chinese lanterns, kites or balloons all look like in the sky, you may find yourself laughing pretty hard at some of these witnesses. However, there is occasionally an especially intelligent writer who spins a story so compelling that it’s difficult to laugh at all. Another interesting site to read about paranormal phenomena and weird news is the aptly named Weird Universe website. This site is more of a collection of oddities from around the world – sort of the modern online version of Ripley’s Believe it or Not. You’ll find old newspaper clippings that you won’t believe actually existed (but they did), and really strange weird but true stories about things that are sometimes very difficult to swallow. Of course, the newspaper clippings are there as evidence. You’ll find all sorts of legends, stories about strange artifacts, and plenty of other tales to wet your appetite for interesting campfire stories. Of course, I think we can all agree that there are few stories better for when you’re sitting around the campfire than ghost stories. These are tales that just make your hair stand on end and goosebumps break out all over. My problem with old ghost stories is that I’ve read most of the ones that have been told ad nauseum on paranormal sites around the web. However, at Your Ghost Stories, you’ll find fresh batches of ghost stories told by readers – actual witnesses – and updated fairly frequently. You’ll find these in the “Real Ghost Stories” section. Do I believe all of these tall tales? 99 percent of the time, I don’t. I’ve been told that I’m a lot like Scully from the X-Files – but like Scully, I am at least willing to explore such stories. I don’t ignore them or blow them off completely. The phenomena – even if it’s purely psychological in some cases – fascinates me, and the challenge of finding the gem of truth in the center of the story is a temptation that’s too overwhelming to resist. However, even a cynic like Scully started to believe toward the end, right? I think for even the most hardened skeptic that reads all of these stories, there’s a little bit of Scully in all of us. We are a bit annoyed by the Mulders that jump to conclusions without enough good evidence – but there’s always that small something inside of us that drives us to turn back to the next story and read more – and dig further. Do you enjoy reading about weird and strange paranormal stories? Which of these sites do you like the best, or do you have your own favorite? Share your thoughts in the comments section below! Listverse's Weird section has some decent stories, too. Kudos on a great article, Ryan ! I'm a huge fan of cracked and is one of the sites i don't miss to visit everyday. What about http://www.forteantimes.com/ ? They're a real magazine and merely link to other sites in their "Breaking News" section, but it's nevertheless rather unusual at times. Just the article I needed to kill time these days! Great compilation Ryan!